HMP Wakefield has recently introduced smoke free landings which prisoners can voluntarily place themselves on in preparation for the forthcoming full ban of tobacco in prisons. This issue has attracted moans from people on both sides of the debate in recent months with smokers and non-smokers alike crying out that their human rights are being breached. It shows a great misunderstanding of what human rights actually are and also demonstrates the incapability of these people to show any empathy towards those with whom they disagree. The truth is, neither restricting nor permitting smoking is against anyone’s “human rights”. 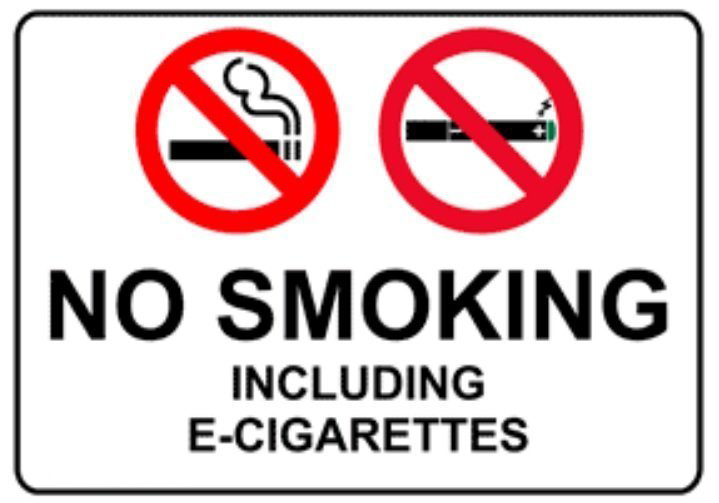 The case for restricting it has slightly more weight than that for permitting it since passive smoking can damage the health of third parties whilst restricting smoking has no ill effects on anyone, but nothing in any human rights legislation actually entitles people to smoke or prohibits it. What is more interesting to me is what this will do to the prison black market of tobacco lending. Many prisoners use this as their chief source of income and I have known interest rates vary from simply asking for a chocolate bar back on top of the tobacco lent, right up to “two out, Three back” and “double bubble”. Once tobacco stops being sold, this trade will be reduced to contraband tobacco smuggled in via visits, staff, or parcels thrown over the walls – not to forget the innovative use of drones. E-cigarettes have already made an appearance on canteen sheets here but, as yet, there is no one stockpiling them to lend for interest. The higher relative prices may well prevent such a trade ever becoming widespread but this remains to be seen. All that is certain is that, if a market for e-cigarettes does become prevalent within prisons, then the fact that they cost far more than their equivalent in tobacco will lure addicted prisoners into even more debt than many already find themselves subject to. What I look forward to finding out even more though, is how long e-cigs will last before they too are banned. The only reason it has taken so long to ban tobacco in prison is because smoking it became prevalent in society long before the majority of the population became wise to the health risks. We now live in a far more risk assessing world and whilst vaping is yet to reach the same prevalence as smoking, reports are already emerging to warn of the potential harm e-cig vapour may cause. Indeed, Professor Judith Zelikoff of New York University led a team who reported research which showed how pregnant mice exposed to vapour from e-cigarettes gave birth to young with developmental problems including differences in brain activity, sperm counts, and behaviour, as well as gene changes within the brain itself. Since the majority of prisoners are male, and the majority of female prisoners are not pregnant, this is not necessarily a problem in the prison environment. However, it is still early days in the research on the effects of vaping. Perhaps if vaping is to be viewed as a short term solution to wean smokers off the habit then there might be an argument for encouraging it as the less dangerous but still potentially risky cousin of tobacco. However, another study reported in the Journal Tobacco Control has indicated that teenagers who use e-cigarettes are three times more likely to start smoking tobacco within a year than those who have never had an e-cigarette. So, if vaping still has its risks, doesn’t discourage smoking later on, and costs even more, what is the benefit of have e-cigarettes in prison at all? I believe that it is a matter of time until smoking and vaping alike are banned within British prisons and, if I am right, this could open the door to a new approach to imprisonment which I have long believed will be far more effective than any “rehabilitation revolution” – fully holistic prisons. The food served within prisons is dire, no matter what you read in the Daily Mail. The healthcare is contracted out to the lowest bidding private company. Gym access is generally seen as a privilege for fun rather than a core element of healthy living. If the diet, exercise, and healthcare of every prisoner were considered carefully, I, think it is entirely possible to engineer improvements in mental health and rates of self harm, in behaviour and levels of violence, and in engagement and both education and rehabilitation. The knock on effect of these things is limitless and could even lead to a fall in reoffending rates, a reduction of the prison population, and a reduced long term burden upon the public purse. All it would take is some consideration and a little investment. i’m not a smoker so i welcome a smoking ban generally. you are right, the risks of vaping haven’t been fully assessed. anecdotal evidence suggests that you smoke more when vaping because there is less fuss involved and you can’t quite count the same way as in ‘cigarette length’.